I remember Friday nights when I was little. For dinner we had pizza, made popcorn and then came the best part; a movie. Our mom would order one from Netflix (before live streaming, folks) that would come in the mail. I always hurried to get ready, cleaning whatever I had to, and helping with the snacks. As soon as everything was done, I plopped down on the couch, anxious for the movie to start. But of course, Sarah wanted to change into her pajamas first. Then our mom needed some water, then Grace had to go to the bathroom and it felt like they would never be ready. Eventually everyone would be settled, and we would press play. My heart would flutter as the theme glittered across the screen and I was transported to a whole new world. Those nights were so exciting. I literally looked forward to them for days in advance. A few nights ago, my family and I were watching The Wizard of Oz. Grace was impatient to start the movie. “Are you almost ready?” She kept asking. I wasn’t in much of a hurry. After all, it was just a movie. Grace was cuddled in the corner of the couch, watching us scurry around and I was suddenly there. I was the one cuddled on the couch waiting. Just three, maybe four years ago, I was the one to watch the screen with shining eyes and a soaring heart. Even after the movie started I couldn’t help thinking, what happened to me? What changed within to kill that bright-eyed dreamer and replace her with someone who could care less? So, where did my wonder go? It was a slow but steady change. I remember all sorts of things. 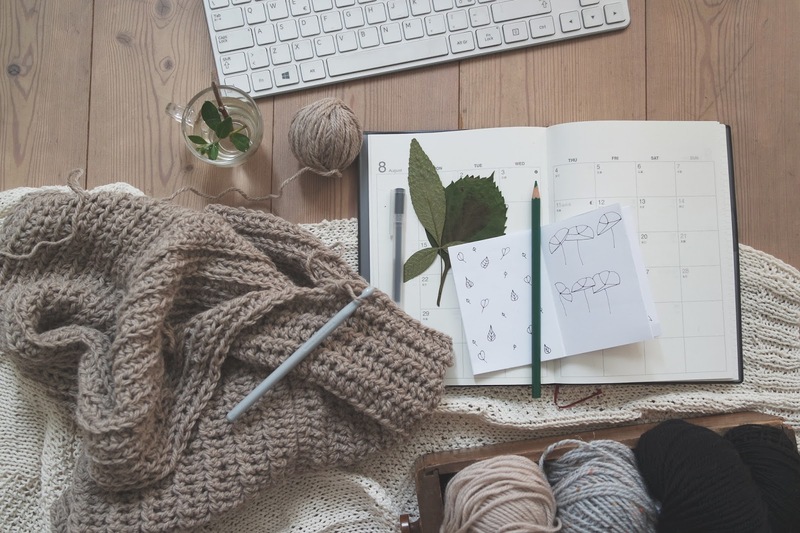 Little comments my friends made, things I heard on TV, and deciding I was too old for childish fun. I hate the fact kids are being made to grow up so fast. I hate how we’re laughed at for getting excited over the falling leaves and sunshine. We are criticized for doing things with our mom or little siblings, because it isn’t cool, but really, it’s society that isn’t cool. When I was 12 and first allowed to sit in the front seat everything seemed so beautiful, big and clear. I looked forward to car rides. Now I often take things for granted now, because they aren't new and exciting. I get in the front seat without a second thought. Is this the way it's supposed to be? Are we supposed to lose all our joy over the simple pleasures in life? Not a chance! God didn't make this incredible world for us just to hear us say, "eh, it's okay." Every day I must make a conscious decision to love my life. To love the little things. The kisses on my little sister's nose, making my mom laugh, filling up my mouth with water in the shower, eating cereal in the morning, laughing in bed with my older sister, the smell of books, crying over sad movies and seeing my friends. 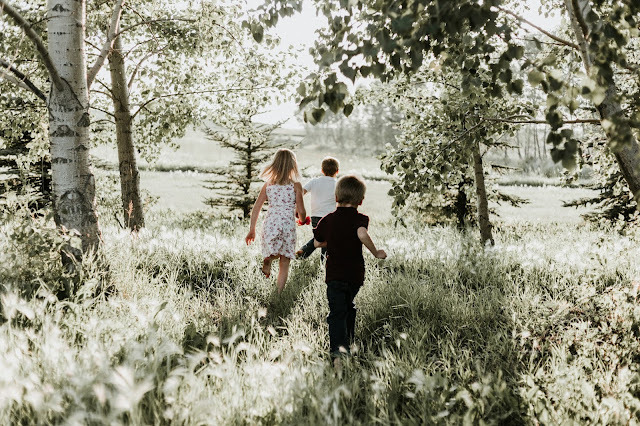 Below I have a few ways to conserve your childlike wonder and help you keep dreaming. Write down everything that makes you happy. The sky, oak leaves, snakes (I have no affection towards snakes, but maybe you do. I won’t judge), freckled faces and the sound of water. Whatever makes you feel content inside. All types of music. Pretend you’re playing guitar with your mom when she turns on Twenty-One Pilots (my mom calls them “our boys”). Listen to Jazz while sitting by the fire. Dance around your house to classical ballet-ish music. Listen to opera while you take a shower (soap opera, anyone? *wink-wink*). But don’t forget about the sounds of nature. Go outside and listen to the cars go by. To the birds, to the people and leaves and wind. Listen to the world breathing. Watch the old movies you used to love. I know they are a little boring sometimes, but surely there’s something you can enjoy. Perhaps it’s the animation, or maybe its that one character that makes you smile no matter what. Whatever it is, enjoy it. Don’t pick up your phone. Don’t talk the whole time and don’t complain. I’m so extremely guilty of complaining about movies, so don’t follow my example. Everything I’m writing is just as much to myself as it is to you. What’s something you loved having people do with you when you were little? Playing pretend? Being read to? Whatever it is, do it with some little kid in your life. If you don’t have siblings, you could do it with a cousin or neighbor kid. And if you still don’t have anyone, do it with yourself. Go to your room and dress those old dolls, color in coloring books, do a puzzle. How do you preserve your wonder? 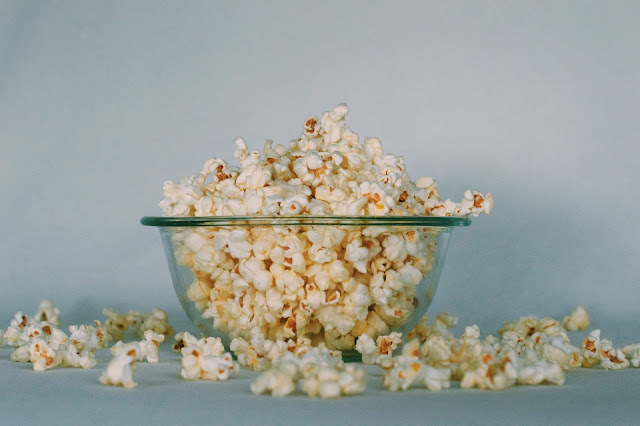 What was your favorite movie when you were little? Do you change the way you do things just to please others? Do you have any siblings? What sort of music does your mom listen to? Have you seen The Wizard of Oz recently? Seeing and playing in the ocean this month really released a childlike wonder for me. I love seeing people of all ages play as if they didn't have a care in the world. Playing definitely bonds people. Having an ordinary pleasure - such as cooking, movies, etc. be emphasized. Like instead of "let's go make some cookies because...", let's be more like "LET'S MAKE COOKIES CAUSE IT'S FUN!!. That will definitely release more of the childlike wonder. This is a beautiful and such an important post! I'm basically still a kid (13) but I one hundred percent get how society will judge you for doing "little kid things" even though there really just normal and fun! Eee, thank you, Nabila! Oh yeah, I'm only 14, but I feel like I've been forced to grow up too quickly. Thanks for the sweet comment! Me too! I played 24/7 when I was younger. Totally. Thanks for the wonderful comment, Madeline! I absolutely love your blog and you write such creative,interesting, posts....keep on posting!!! "We grow old because we stop playing." YIPE. That's a crazy thought. I know a lot of the time, it seems like there's just not time to be a kid. School, writing, doing everything that has to get done. But this is so true! And I also think it's important not to pass up the time you have with younger sibling (which I am guilty of), and play with them. Especially now that every little kid you see has a phone, or a kindle. This is a great post, Ella! Thanks for sharing! 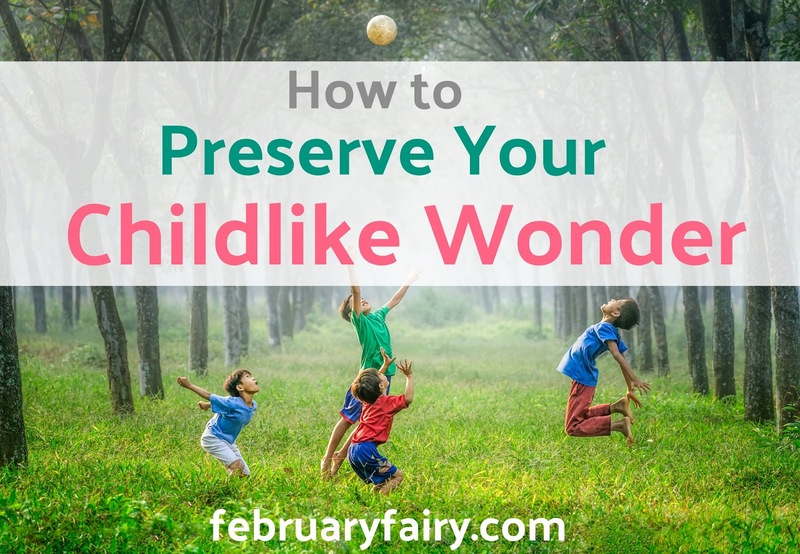 These are great ways preserve that childlike wonder. I would also add that just doing things with people younger than you is another way to open up your eyes to see things as you used to. I have two little sisters much younger than me (by a good 15+ years) as well as a bunch of neighbor kids that come over, and when I spend time playing with them, I love watching how they think and see things. Like, all the questions they ask, they things they comment on, the things that stand out to them. It makes me feel older than I am (and wiser, sometimes), but it helps me to see how I've grown, and also what I have forgotten that I might need to remember - to enjoy life. Definitely! Whenever I play with my little sister it's almost like I never even changed in the first place. Thanks for commenting, Julian! I LOVE YOUR BLOG BECAUSE IT IS SO POSITIVE AND GOOD AND IT ALWAYS PUTS A SMILE ON MY FACE EVERY TIME I READ IT!! *hugs and waffles* I love this post, Ella Marie! I feel like this is SUCH and important topic. Because, like you said, society isn't cool. Too many of us have been brainwashed into thinking that the little things are boring or unimportant...but THEY ARE SO LIT AND EXCITING, YO. <3 Seriously, just reading this post has brought me back to a more wonder-filled state of mind. :') THANK YOU FOR THAT. I'm definitely a culprit of complaining about movies too!! But mostly just laughing at bad acting and unrealistic scenarios. xD It can be fun though. My favorite movie when I was younger (AND MAYBE STILL??) was Spirit: Stallion of the Cimarron. I LOVED THAT MOVIE SO MUCH and back in the day of VHS rentals (lol) we would rent it so many times over and over again that eventually the rental place just gave it to us. xD it was so great omg. ABBIE, THAT'S THE SWEETEST THING! You're comments always make my day. <3 Wow, it's amazing to hear that it actually impacted you! Haha! ME TOO! I watched that movie a million times! Whoa, those VHS rental people were really nice. Now my little sister watches a new tv series based off of it, on Netflix and it's just wrong. LOL. So true, I remember the day my mom joined us in sledding down the hill, I think that was when I realized that I didn't want to grow boring.